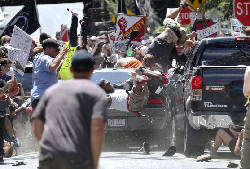 CHARLOTTESVILLE, Va. (AP) — A car plowed into a crowd of people peacefully protesting a white nationalist rally Saturday in a Virginia college town, killing one person, sending at least 26 others to hospitals and ratcheting up tension in an increasingly violent confrontation. 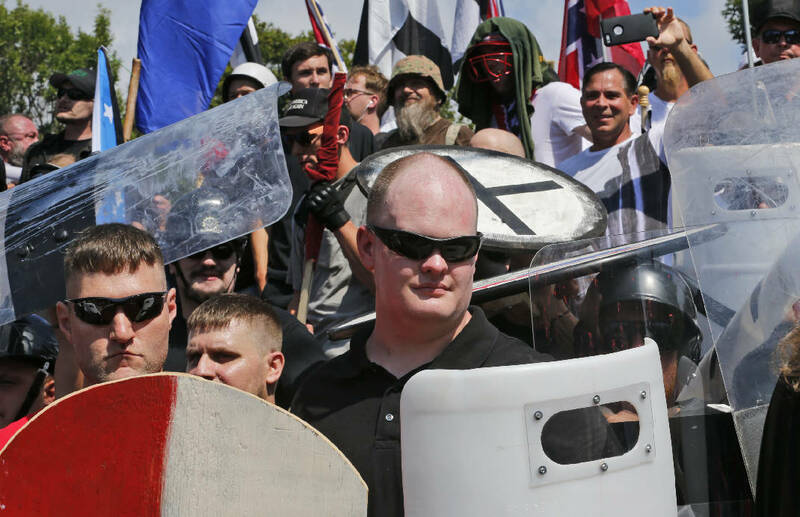 The turbulence began Friday night, when the white nationalists carried torches though the university campus in what they billed as a "pro-white" demonstration. It quickly spiraled into violence Saturday morning. Hundreds of people threw punches, hurled water bottles and unleashed chemical sprays. At least eight were injured and one arrested in connection.